The rebranded BlackBerry World web storefront is up and running ahead of the big BlackBerry 10 launch later today. Research In Motion will officially unveil the first BlackBerry devices, but they’d only be available later on in February. 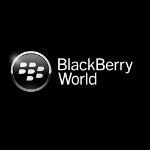 The web storefront for BlackBerry World now contains apps, themes, games, music and videos, and most recently we’ve seen RIM lower the minimum price of an app, giving developers that extra space. Now when it comes to apps, it’s clear that RIM will have a lot of catching up to do. Music and movie offerings seem identical to what other app catalogs offer, and you can either buy or rent videos. The store launches with some better known titles like Angry Birds Star Wars, but many other well-known games are simply missing. I have to say, they already have a leg up on Windows Phone 8. WP8 phones don't support XBOX video and their game development has stalled recently. WTF Microsoft?